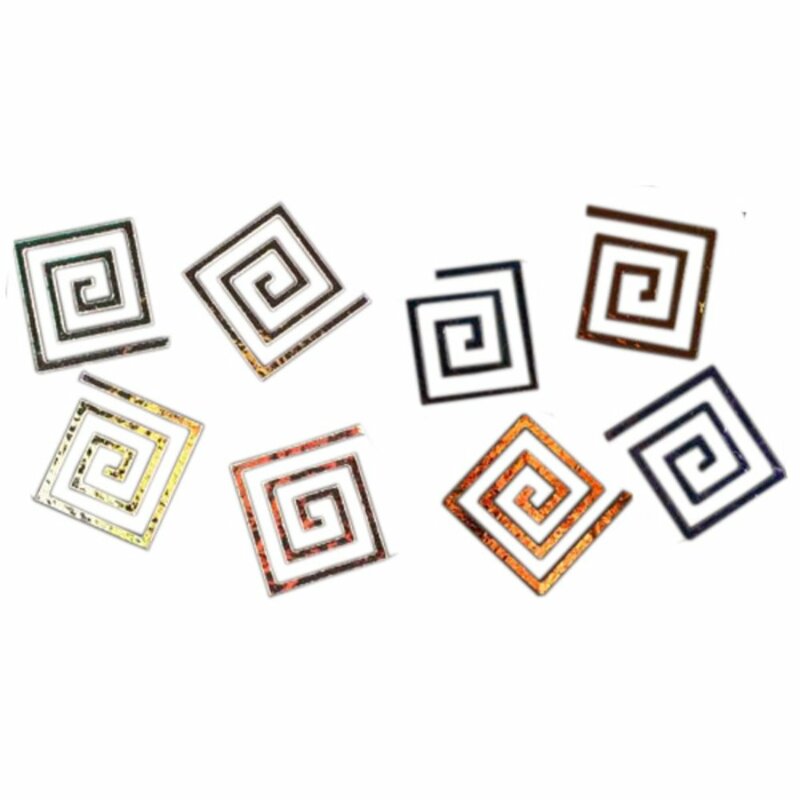 These pre-cut square spirals come in either black or clear glass coated with dichroic. Each spiral is 1-5/16" x 1-3/16" (33 x 30mm). Sold in packs of 4. Packs come in assorted colors and patterns. Pieces received may vary from those in photo. No requests, please.